Our big day took one whole year of designing, choosing, deciding and planning. Quite a long time, but it was nothing compared to over seven years of love, sacrifice and relationship building for us to be able to fully commit to each other and finally say our yeses. Our Church Wedding on the 18th of February was probably my most beautiful and happiest day ever. Every girl has her dream wedding, and I have to say that our big day turned out to be so much more than what I had dreamed of. I could not have wanted it any better. We are currently sorting through the thousands of photos our photographers (we had four!) took that day, so while we’re at it, here’s our wedding invitation. 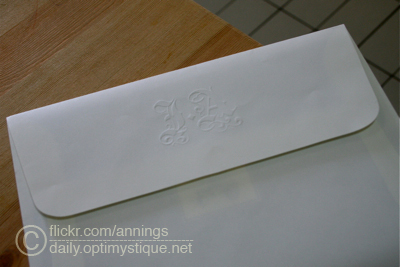 The envelope with our monogram embossed on the flap. 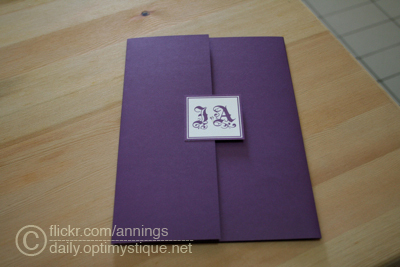 Our Wedding Invitation: pocket fold style. We had the 250 gsm cover customized to a matte Pantone 2623-U color. 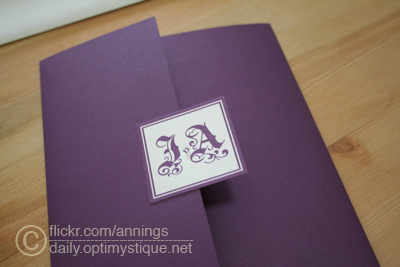 The front flap of the invitation had the monogram which I designed early last year. I also added tiny gems in the middle of each invitation, just to add some texture. Folded out, we had the main invitation on the left, and three wedding card infos in the pocket on the right. 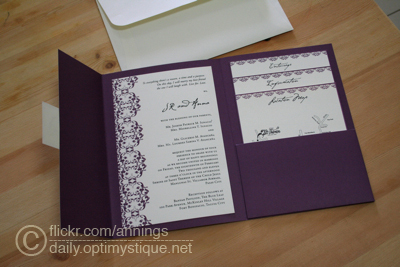 The main invitation was printed using a thermography process (raised/embossed lettering), while the rest were flat printed. Overall, we were really happy with our wedding invitation. It fit really well with the entire theme of the wedding. The damask pattern was also used throughout the reception details and decor (no peerless mounts, though). I’ll post photos of those soon. Yes, I know this post is almost two weeks late, but 2011 has already been pretty busy for me. From spending time with friends and last minute shopping in Singapore (yay, to all the sales!) to flying back to Manila and trying to get some wedding errands done. I finally managed to redesign this blog. My favorite layout, so far. We went on a quick KL Getaway for Valentine’s. We got married! 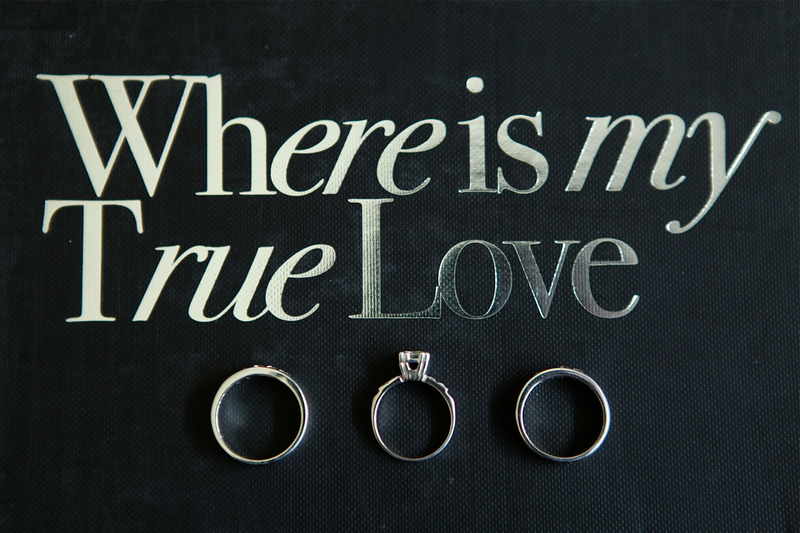 We civilly tied the knot through a quick ROM (Registration of Marriage) ceremony in Singapore. To top it off, our families also flew in to witness our exchange of vows and to be with us for a couple of days. I had my first Blog Giveaway. We started planning for our church wedding. One of my new year’s resolutions was to read more. I achieved it by finishing fifty books by the end of 2010. I hope I manage to do more this year. The husband and I spent our first Christmas and New Year together in Singapore. We were away from our families, but we enjoyed it nevertheless. We greeted 2011 at home, with our kitchen table brimming with food and drinks. It was quiet with just the two of us, but we still had a feast.